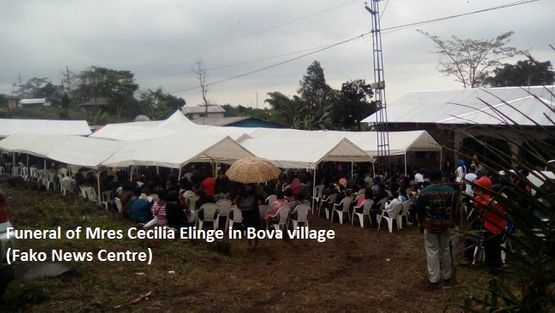 The mortal remains of Mrs. Elinge Cecilia Nduma who passed unto glory on February 5, 2018 have been laid to rest. Mrs Elinge who died after a brief illness at the Kumba District Hospital was laid to rest in their Bova I residence on Saturday January 3, 2018. The deceased who had touched many lives was described by friends, colleagues and relatives during her funeral as one with a kind heart who created space to accommodate others. Though being very strict, Mrs. Elinge was known for her meekness, organizing spirit, love and ability to unify her family even at her own expenses. Before hear demise, she was the serving as Inspector for Basic Education, Limbe III, a position she occupied barely five months. She had also been a teacher at Government Technical College, Mamfe. She also occupied other duty positions in the same ministry. 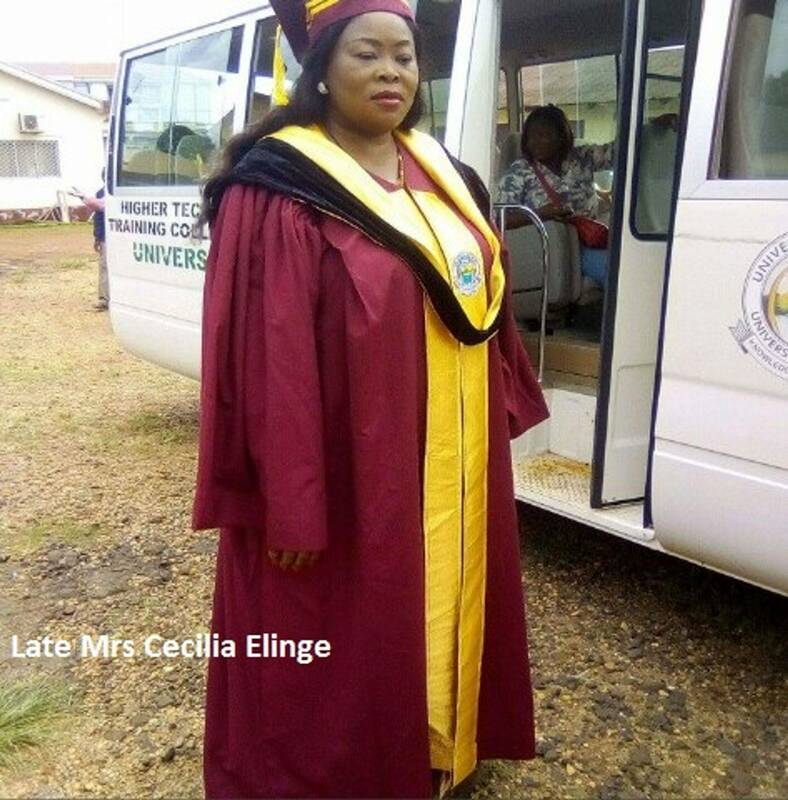 Late Mrs Elinge was holder of the Post Graduate Education Certificate of Education in Science of Education obtained from Higher Technical Teacher Training College, Kumba, a Bachelor of Education Degree in Nursery and Primary Education from the University of Buea and other academic certificates. Born on July 3, 1969 to Mr Tonga Benjamine Vefonge and Joana Mokabwe Vefonge of Ewonda as Cecilia Nduma Tonga Vefonge, she got married to Mr Elinge Ngomba on December 4, 2001. She was a Christian of the Presbyterian Church in Cameroon till her death.